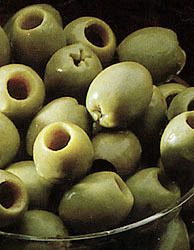 Olives prepared with herbs, marinated in water and olive oil. 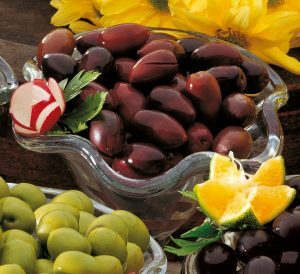 Greek olives marinated in water, vinegar, and olive oil. Perfect for fast pasta dishes, in cold salads, and with cocktails. 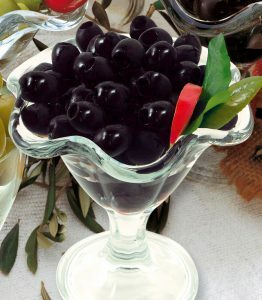 Pitted black olives, local and green olives seasoned with olive oil, chilli pepper and herbs. 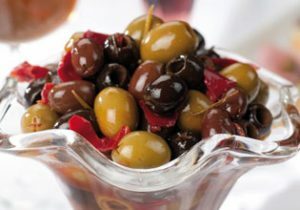 The pronounced flavour of chilli pepper makes these olives particularly appetizing and mouth-watering.